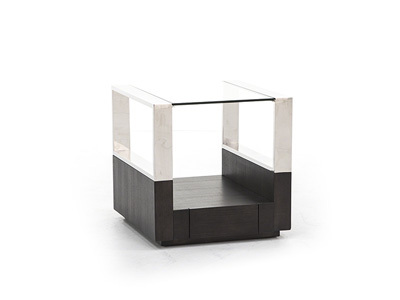 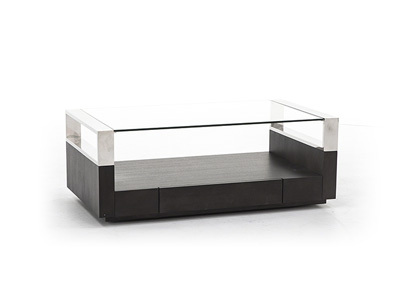 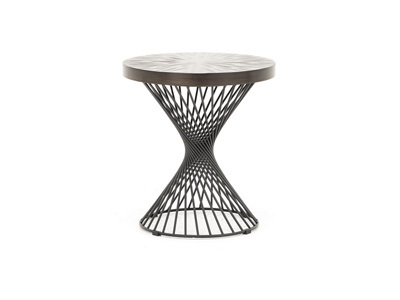 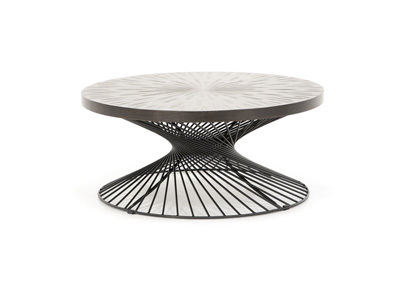 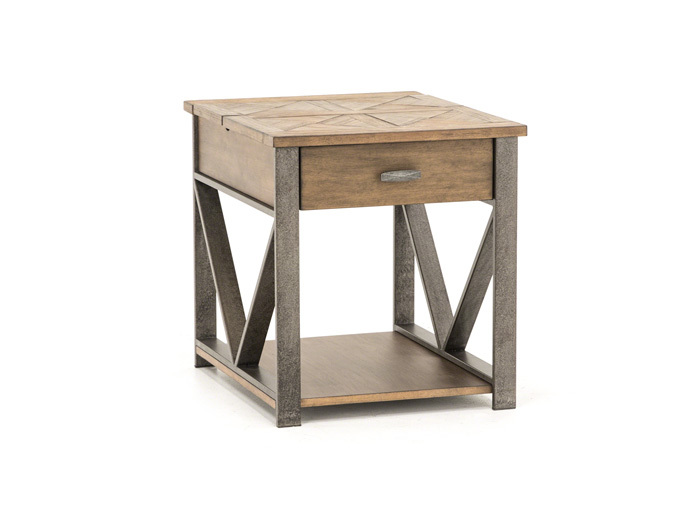 Accent your sofa or recliner with this stylish end table. 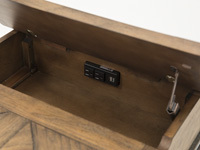 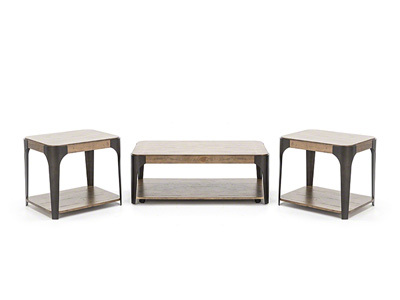 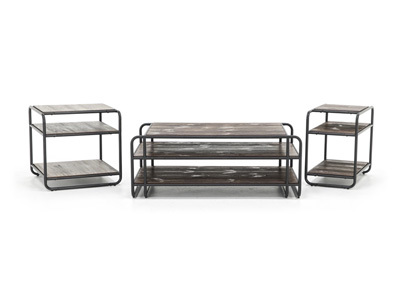 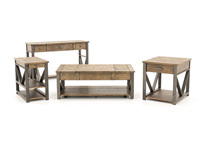 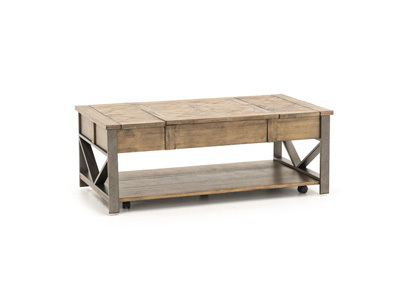 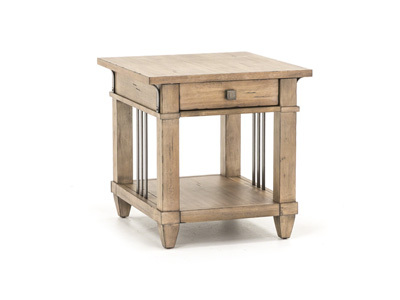 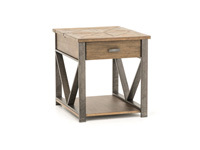 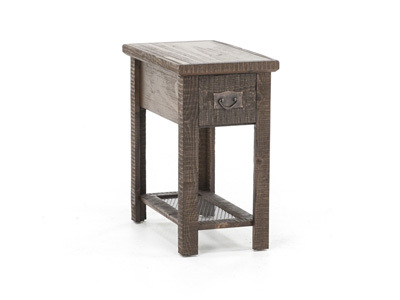 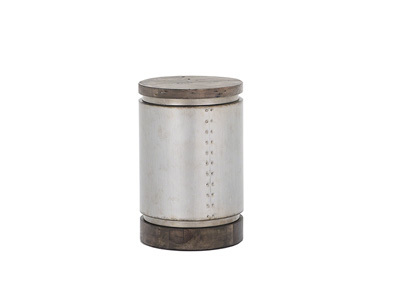 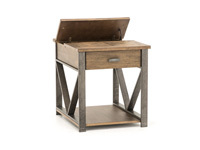 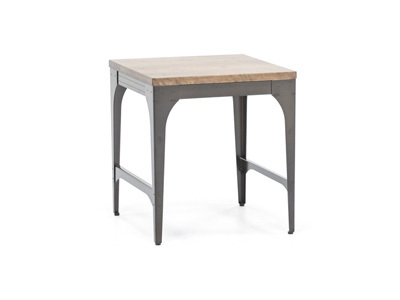 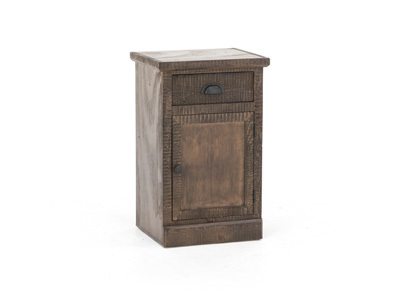 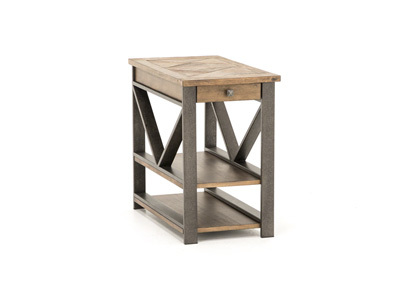 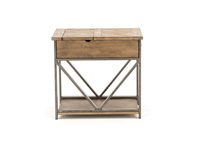 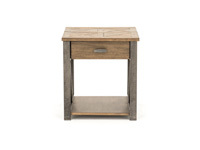 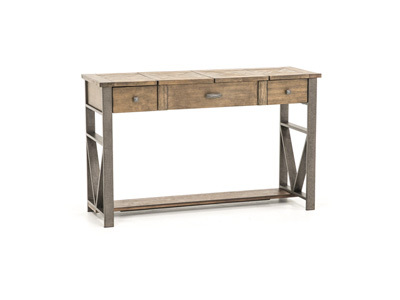 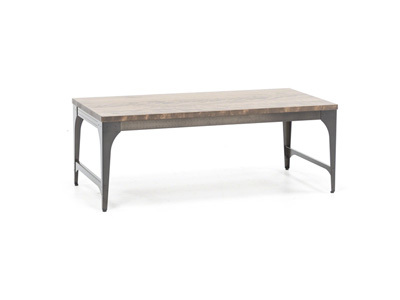 Features metal accents and gunmetal hardware in a brown oak finish. 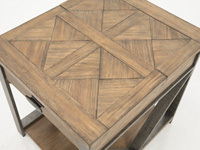 This table also has a decorative pattern on either side for a unique look.